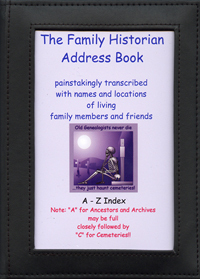 These Address Books will make an ideal gift for any Family Historian. They have the look and feel of black leather but not at the price! 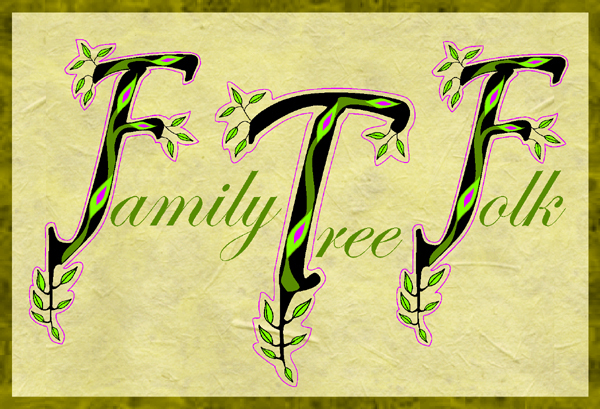 These Family Tree Folk cover designs once again illustrate a genealogist's passion for this addictive pastime! - "Bringing Genealogy to Life"
Would it not be ever so time consuming for any genealogist to "transcribe" address details of their living relatives and friends into an address book!! They would rather be transcribing monumental inscriptions, parish registers and census returns. These unique address books will be an incentive to get the job done!! The address book has a full 26 tabbed A to Z index to record address and telephone numbers. An ideal gift to give for a forthcoming birthday, a Christmas present or indeed for any occasion. Created by the Family Tree Folk to raise a smile for the friends and family of any serious Family Historian!